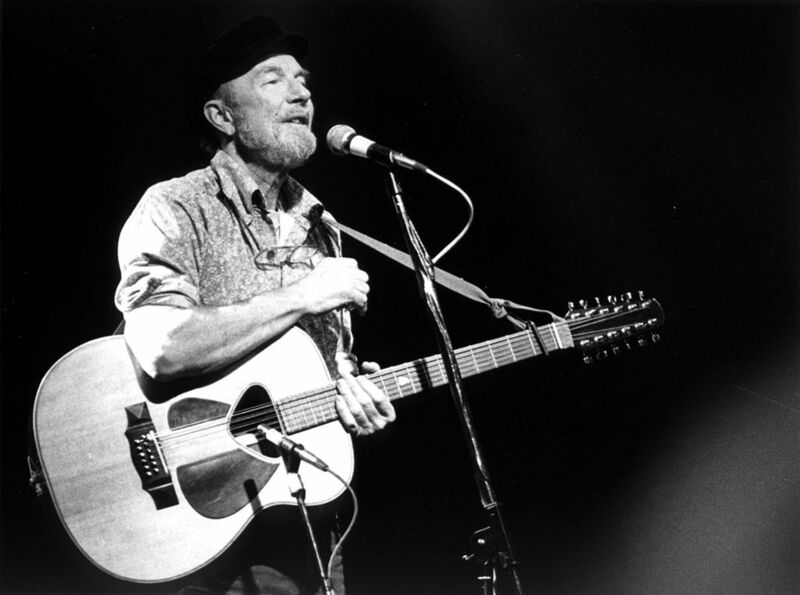 Today would've been Pete Seeger's 95th birthday. Tomorrow on the Sunday Breakfast I'll have "A Seeger Celebration" - a 90 minute special with music and commentary from folks like Joan Baez, Roger McGuinn, Judy Collins, Tom Paxton, Nanci Griffith, Peter Yarrow, Noel Stookey, and Pete himself (drawn from several interviews we did over the years). Then on Woody's Children at 4, Bob Sherman traces Pete's seven decade recording career with "A Seeger Songography," produced by Jeremy Rainer.